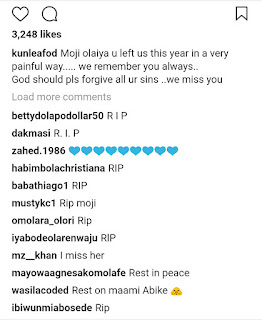 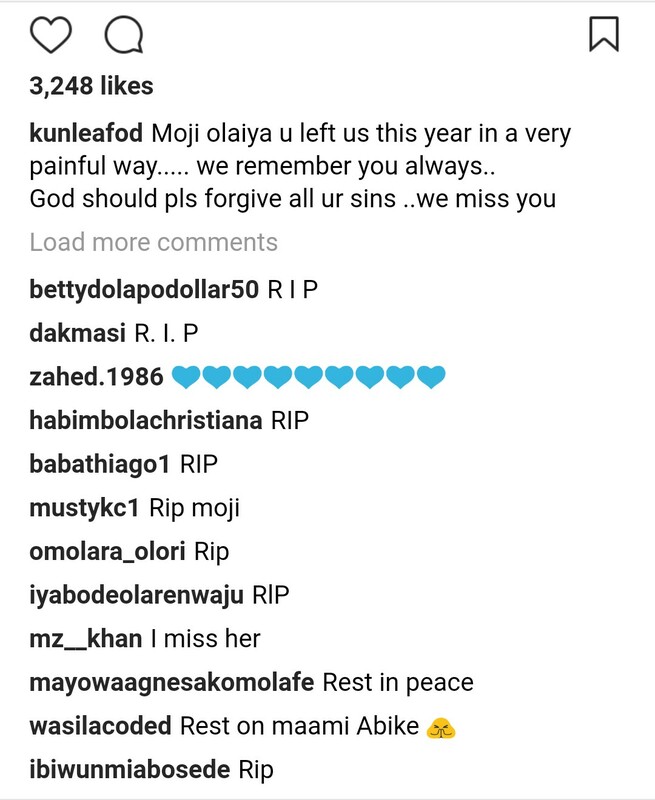 Nollywood Yoruba popular actor, Kunle Afod, took to Instagram to share a heart touching message in memory of late actress Moji Olaiya. 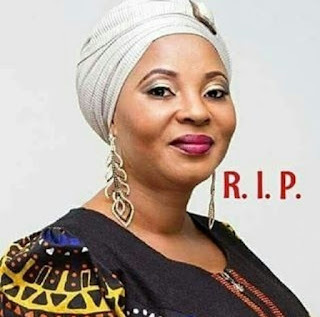 Moji Olaiya died in faraway Canada on 18th May, 2017 after childbirth complications. 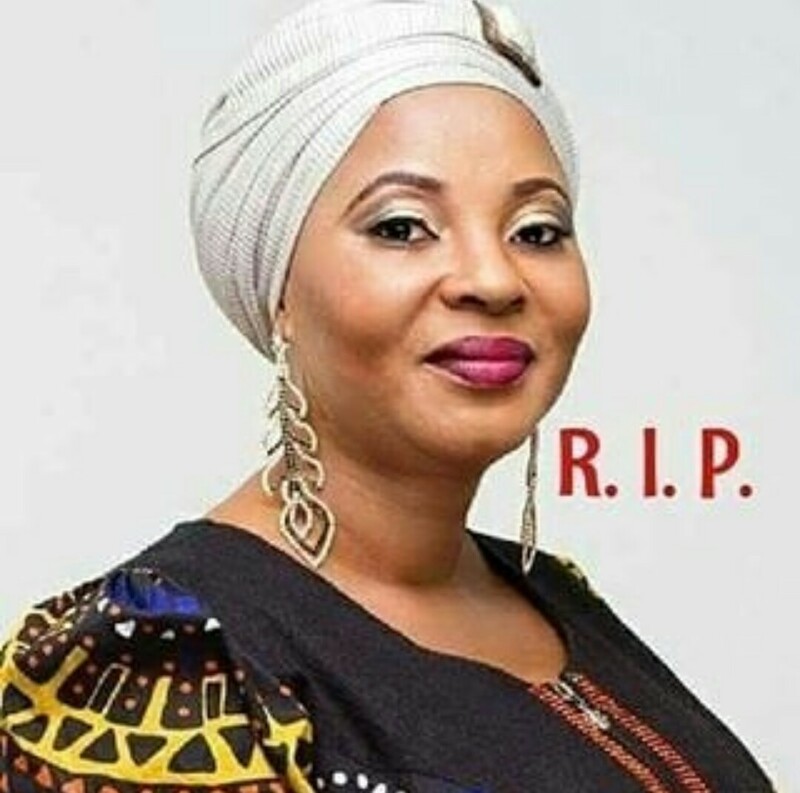 Moji olaiya u left us this year in a very painful way..... we remember you always..